Are you looking for a high profile location to base your business? Perhaps you’d like to expand your property portfolio? Either way, you won’t want to miss H&N Perry’s next commercial property auction. 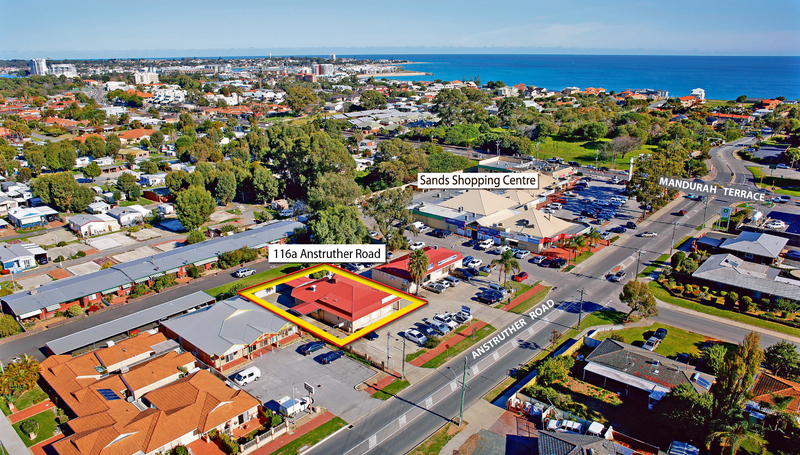 116a Anstruther Road is located right in the heart of Silver Sands, Mandurah. Sitting alongside the Sands Shopping Centre and surrounded by high profile retailers including Super IGA, Chicken Treat, Wizard Pharmacy, Pool Worx, BP fuel station and Silver Sands Tavern. This commercial property has major road frontage and plenty of parking at your doorstep.The 478sqm parcel of land holds a brick and tile building with a massive 230sqm of leasable floorspace. Complete with kitchen, cool room, grease trap and dining area this property is ideal for a food related businesses, however with a Commercial Mixed Use zoning it could also be used for a wide range of business purposes including the medical industry, gym, retail or office.The auction is to be held on site, Saturday 5th September 2015 at 11am sharp (unless sold prior). This is a commercial opportunity not to be missed. Call Auctioneer Frank Lawrence today on 0412 903 375 and get your offer in before it’s snapped up at auction! H&N Perry Gets Successful Commercial Results! The commercial leasing sector at H&N Perry has welcomed in the new year with a positive surge in commercial leasing deals. We have successfully leased 6 properties so far ranging from industrial warehouses right through to retail premises and showrooms. H&N Perry pride ourselves on being Mandurah’s leading commercial agency. Our commercial Property Managers have a great deal of experience in seeking out well qualified tenants and closing successful leasing agreements. If your commercial investment property is sitting vacant, maybe it’s time to entrust it to H&N Perry Real Estate. Give Jan Wiley or Brian Matthews a call on 9535 1822 and let us help you. Welcome To Mandurah – Budget Busters! 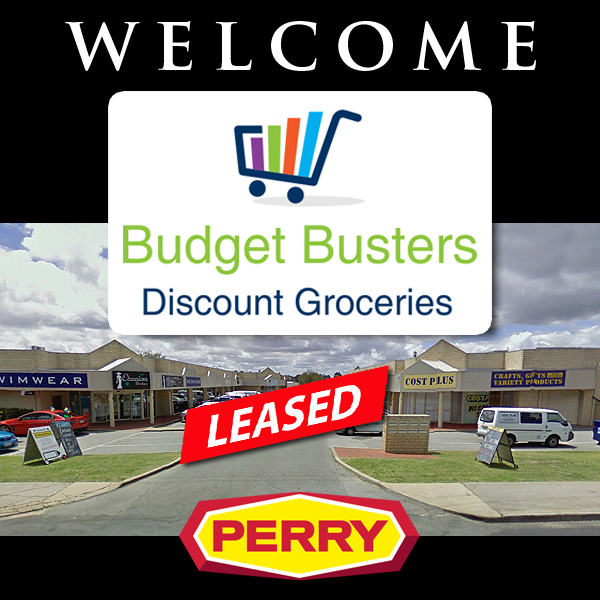 H&N Perry would like to extend a warm welcome to Budget Busters Discount Groceries who have recently opened a store in Mandurah. Budget Busters are a new enterprise that offers Mandurah residents a large range of quality food products at very affordable prices. Catering to Mandurah’s growing British community, there are many popular lines that are not always available at large commercial chain stores. Products such as Tunnock Tea Cakes, Dundee Cake, Branston Pickle and many other UK delights are now available to Mandurah residents. They also supply a good range of well known Australian products at very reasonable prices. Budget Busters Discount Groceries’ new store is located at 3 Dower Street, Mandurah. This fantastic showroom is in an excellent location within the Centro Mandurah Shopping Centre locale and is surrounded by other successful retailers such as Cost Plus Store, Occasions Boutique, Mandurah Oriental Store and Nutz n Co Hair and Beauty. The store is easy to access with plenty of parking and is also directly opposite a public transport route. H&N Perry were instrumental in securing the lease of this building to Budget Busters Discount Groceries. Our Commercial Property Managers have been experiencing increased interest in commercial properties of all descriptions including retail showrooms, industrial and office space. 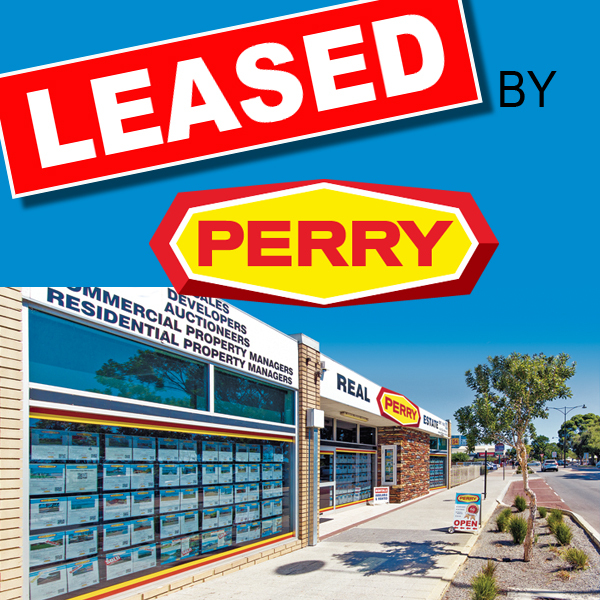 If your commercial investment is sitting vacant, call H&N Perry, the commercial property specialists today on 9535 1822. Imagine sitting back at your office desk and looking out over the serene canals of Port Bouvard. Drive down the tree lined streets to your waterfront office and watch dolphins frolic and boats glide over the glistening waaterways whilst you work. If you’re looking for an office to base your business, why not consider leasing this luxurious office suite? 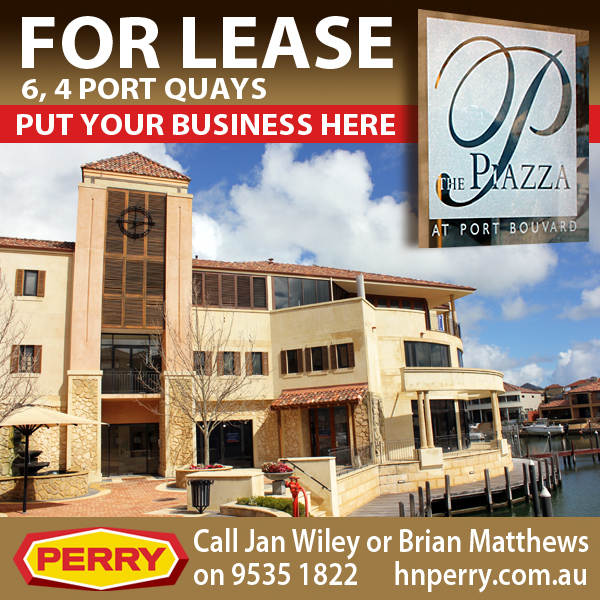 Unit 6, 4 Port Quays is located within the North Port Piazza in Port Bouvard. This class building offers it’s tenants a range of facilities including a reception area, four furnished executive offices, a fully fitted out waterfront boardroom, staff kitchen area plus phone and alarm systems. It would be ideally suited to many business types including law firms, settlement agents, financial services, advertising and media agencies, information technology businesses and more. With a total floor space of 346m2, there is ample room for your business to grow. For more information or to arrange an inspection of the premises, call Jan Wiley or Brian Matthews at H&N Perry Real Estate on 9535 1822.